Joyalukkas Exchanged bagged the prestigious Best Strategic Customer Loyalty Program Award – 2018 in the Middle East’s Customer Happiness Summit and Awards. 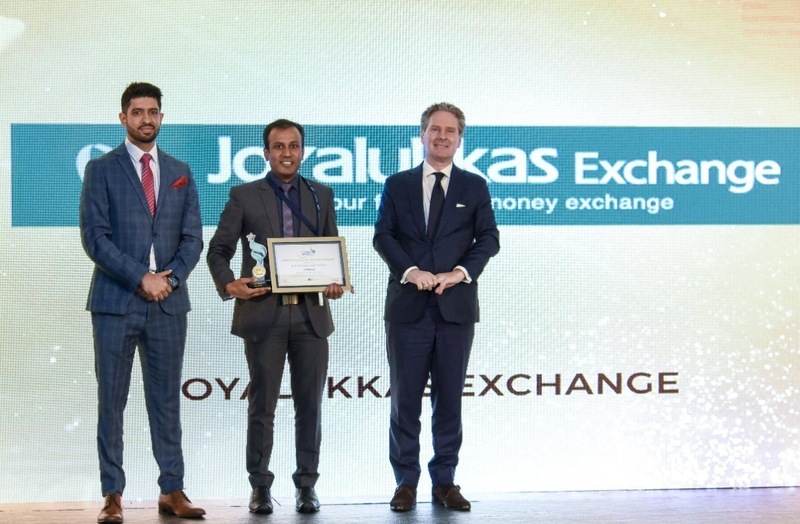 On behalf of Joyalukkas Exchange, Mr. Marish Karna, Manager - Business Process, received the award from Mr. Hans Sandee, Netherlands' Consul General in Dubai. The event took place at H Hotel, Dubai on 18th October 2018. Customer service awards 2018 is an initiative that recognizes and felicitates organizations that have successfully implemented superior customer service strategies and delivered customer happiness par excellence. The awardees were selected by accomplishing a panel of judges comprising of customer-centric professionals from Dubai and around the world. With the Joyalukkas Exchange Reward Loyalty Program, customers earn reward points with every transaction. With the loyalty points, customers can redeemed for periodic gifts and can also be accessed for various value-added services in the partnered premium brands. Joyalukkas Exchange provides its customers with a world-class experience in foreign exchange and cross-border remittances. The company’s innovative services are powered by a strong and reliable network built by a diligent team of proficient professionals who ensure that customers receive the best at all times and under any given circumstances. Joyalukkas Exchange – an integral part of the Multi-Billion Joyalukkas Group is a relatively new venture that has been gaining favor and is expanding rapidly. Since a short time since its inception, the company has already established its presence across UAE, Kuwait, Oman and has 42 branches spread across these 3 countries.